Slow draining usually results from the buildup of residue or clogs over time. In most cases, slow draining requires professional drain cleaning. Over time, the development of clogs happens to every drain. The problem with clogs and residue buildup is that it prevents water from freely passing through your drains. Slow draining occurs for several different reasons. A professional who deals with slow draining will be able to pinpoint the reason for the slow movement, come up with a solution to increase your water flow, and fix the problem. Over time, common household drains deal with a buildup of dirt, skin flakes, and hair. These bind to soap scum on the walls of drain pipes. As they accumulate, they reduce the ability for water to pass through and result in slow draining. 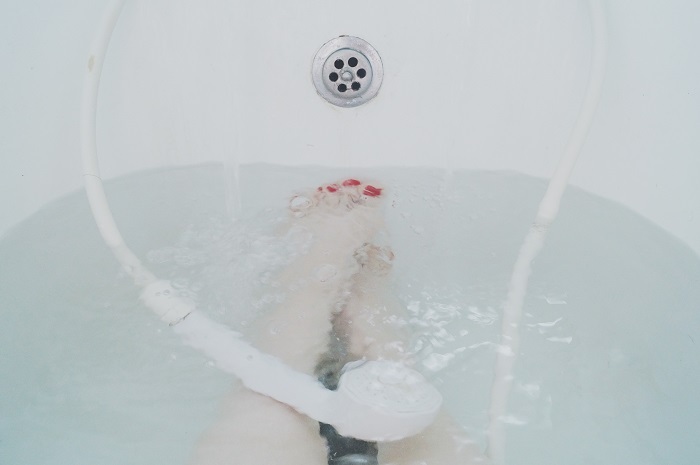 Especially in your bath or shower, when you don’t use a mesh drain to keep the buildup from being washed into your pipes, clogs are inevitable. When buildup results in slow draining, water will begin to pool at the bottom of your shower or sink. Toilets and sinks are often used improperly to flush trash. But, what most people don’t realize is, putting items down your drains that don’t easily break apart can lead to slow draining and clogs. Cotton-tipped swabs, dental floss, diaper wipes, and feminine products aren’t broken down by the water in your drains. Unfortunately, your drains aren’t meant to handle the type of traffic that most homeowners and businesses use them for to dispose of things. Since the kitchen sink is a high traffic drain that every household uses, it is a common place to notice slow draining. Grease, oil, lard, sauces, and other cooking products stick to the walls of your drain pipes. Over time this leads to slow draining and eventually to permanent clogs that need to be removed by a professional. Pouring grease down the drain can be one of the most damaging practices when it comes to your drain pipes. Over time it can lead to timely and costly repairs. Not only can this lead to slow draining, it can cause problems for the entire plumbing system in your home or business. Most people don’t notice an issue with their drains until they experience slow draining. Over time, many drain issues cannot be avoided. But, understanding the main causes of slow draining is one way to keep your drains free of clogs. Talk to a qualified expert on how to keep your drains free of buildup and water flowing through your plumbing system in the most efficient way.